What The Heck Are They Anyways!? 6 Benefits That Come From Using Electronic Pulse Massagers! 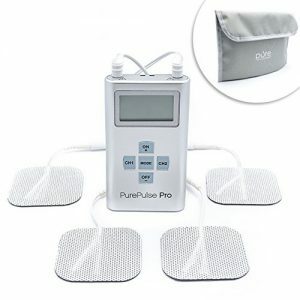 My Best Electronic Pulse Massager Is Pure Enrichment’s PurePulse Pro Advanced TENS Unit! 2 More Electronic Pulse Massagers You May Wish To Consider! Does The Technology Actually Work? 10 Things To Consider Before Buying! I Hope You Got Some Value Out Of This! Thanks for checking out yet another post! Today’s post is about electronic pulse massagers…before we dive into the considerations and recommendations, it’s important to understand what these devices are and how they work. 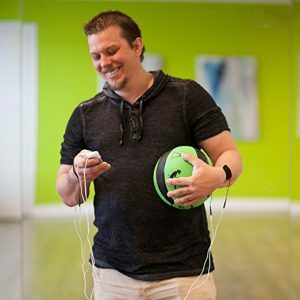 Electronic pulse massagers are devices that send electrical impulses to nerve endings with the single goal of providing therapeutic pain relief. Most confuse electrical muscle stimulation (EMS) with transcutaneous electrical nerve stimulation (AKA TENS). I know it’s a mouthful but bear with me, as it’s important to understand these terms before buying. 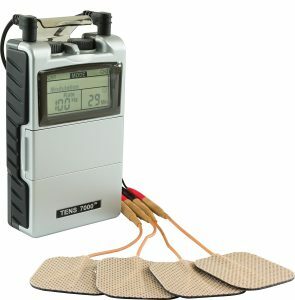 TENS is the technology used in most electronic pulse massagers (expensive units sometimes have both TENS & EMS technologies). What’s the difference? Glad you asked! The video below from Optomo does a fantastic job explaining the difference between the two (all credit to Optomo). TENS, in layman terms is simply a system that alleviates pain by delivering electrical impulses to nerve endings. How does it deliver electrical impulses? Impulses are transmitted via sticky electrodes that you attach to the skin. If you’ve ever done an electro cardiogram procedure before, you’ll recall the nurse/doctor placing sticky patches all over your chest….these are what we call electrodes, and this is what TENS electronic pulse massagers use to transmit impulses. For those who are interested in learning more about TENS, here’s an awesome write up from WebMD. Let’s talk about why these devices are so popular. Below are in my opinion 6 benefits that come from using a TENS style electronic pulse massager! Yup it relieves pain, even if it’s in the short run. The truth is everyone suffers from pain. It doesn’t matter how old you are, how much you exercise, your diet, or just about anything else. We’re all prone, and as such we’re all searching for the best pain relief system. Is this it? It definitely beats taking prescription pain medication….which is a great segue into my next point! We All Suffer From Pain! If given a choice between high dose pain meds and a TENS unit, guess what I’m choosing? We all know it’s an obvious choice! I’m not going to talk about the health implications of long term pain medication use because I’m no medical expert. My personal preference is simply to minimize consumption of pain relief pills. By versatile I mean these devices can be used pretty much anywhere at anytime. They’re small so you can carry them while on the go. I’ll address versatility in greater detail when I’m talking specifically about my best electronic pulse massager in the recommendations section. A TENS Device Can Be Used Just About Anywhere! #4 In The Long Run, TENS Devices Are Cost Effective! Believe it or not, a proven, well functioning TENS device is actually a more cost effective solution in the long run compared to alternative pain management systems such as acupuncture, massage, and meds. As much as I love massage (heck that’s the reason this site is here! ), it’s expensive in North America to continually see a qualified therapist. Automated massagers are good but they don’t offer the same convenience and versatility you get from a TENS device. In conclusion, a good TENS device will pay itself off in time. Alternative Pain Management Treatments Such As Acupuncture Can Get Pretty Expensive! This is probably the biggest benefit of them all. More than anything, what you really get with a TENS device is the flexibility to work pretty much any area of the body. There are no limitations or restrictions, and the electrode patches can be placed anywhere. Now, that doesn’t mean you should zap yourself anywhere and everywhere! I’d be extra cautious with sensitive areas, and one area I’d avoid altogether is the face. Where/how would I use it? A good example would be the pain points in my lower back that’s hard to reach with a handheld massager. Even though the technology (TENS) and associated acronyms sound complicated, electronic pulse massagers really aren’t that tricky when it comes to usage and operation. Some devices even come pre-loaded with massage modes, so you don’t have to mess around with intensities and frequencies if you don’t want to. Yes it may not have a whole lot of features compared to the rest, but it does what it’s supposed to really well. And in a nutshell that is why the PurePulse Pro is my best electronic pulse massager! PurePulse Pro: My Pick For Best Electronic Pulse Massager! One of the first things I’ll look for in a TENS device is FDA approval. This checks off to that respect. A note on Pure enrichment’s site says this device is “clinically proven”. Not sure if this is marketing at its finest, but if the PurePulse Pro is indeed clinically proven…..all the better! This is one of the things I love most about the PurePulse Pro. The intensity range is quite incredible. 25 different levels of intensity which I think is really useful if you’re looking to work the entire body. Different areas of the body respond differently to electrical impulses, so having a bigger range to work with is always an added benefit! If you like customized programs, you should know there’s 8 to choose from in this device. Each of these preset programs can be set to run anywhere from 5-60 minutes. Other competing TENS devices have up to 20 preset programs, so to that respect the PurePulse Pro does fall a little short. It makes up for it however by having the larger intensity range as discussed above. 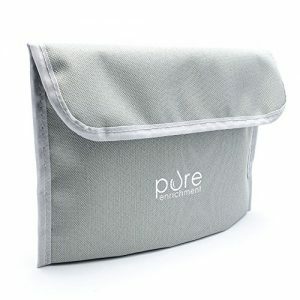 Another cool thing about the PurePulse Pro is the fact that it’s travel friendly. It’s perfectly sized to carry while on the go and doesn’t weigh much either. What’s also pretty neat is the travel and storage case included with the purchase. This makes it especially convenient to carry when travelling by air! The PurePulse Pro comes with 3 AAA batteries which must be replaced eventually. I’d have preferred a lithium ion style rechargeable battery instead, so you don’t have to mess around with AAA’s. I guess you could buy rechargeable AAA’s and at least then you don’t have to worry about replacing dead batteries every time. In case you don’t know, AAA rechargeable batteries are pretty cheap! My problem is not that it comes with 4 electrode pads, although it’d definitely be nice to have more. My problem is more so the fact that all electrode pads are sized equally. It would’ve been nice to have differently sized pads, as it allows for greater flexibility when working different areas of the body. If you’re looking for a true TENS device, this is it! The PurePulse Pro may not boast all the features of its competitors, but it does what its supposed to quite effectively. Overall, it’s simple to use, easy to carry, and quite reasonable in my opinion (click here to check out latest pricing on amazon). 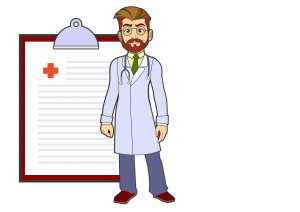 What’s also cool is the free pain management video series you get access to after purchase. Definitely a bonus in my opinion because these videos show you how to operate the device, and even provide examples on certain body parts. You can access the videos by first signing up here. If you made it this far, you already know what my best electronic pulse massager is (see above). However, the next 2 TENS units I talk about below are also pretty decent! Slightly larger than a credit card (measuring 3.5” long, 2” wide, and 3/4” thick), comes with 8 preset therapy modes, and 8 2” by 2” electrode pads. Indeed a small unit that packs a punch! Indeed Big Things Come In Small Packages! FDA Approved—A must have for all TENS units as far as i’m concerned. 25 Intensity Levels—Just like the PurePulse Pro, this is an incredible range to work with! Small & Easy To Use—A simple user interface that anyone can use. Size is on point too! All things considered, this is an awesome little device that does a lot for what it costs. One downside is that it uses AAA batteries. As mentioned previously, my preference is rechargeable lithium ion. Even still, this is a good option if you’re looking for a portable TENS machine! Ever owned one of those Sony cassette players when you were a kid? If you grew up in the 90’s you’ll know exactly what i’m talking about. The TENS 7000 reminds of those! Kinda Looks Like A Cassette Player, Don’t You Think? 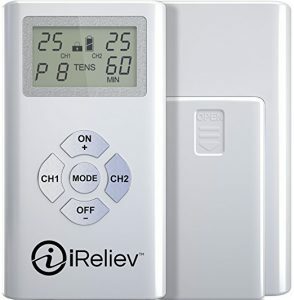 Good On My Wallet—The perfect TENS unit for anyone on a tight budget! Intensity Goes Up To 100 mA!—Not sure most of you will get as high as 100 mA, but nice to have nonetheless. The range is from 0-100 mA, with 10 mA increments. Results Can Be Stored—Only TENS unit i’ve come across that let’s you store your results. If you’re looking for an established TENS unit that’s been around over the years, this is it. TENS 7000 is manufactured by tensunits, a reputable company that’s been around for a few decades. My only concern with this device is that its power source is a 9 volt heavy duty battery. Not a fan of these, and I’d much rather have the AAA’s instead if given a choice. If it weren’t for this, I’d probably have picked the TENS 7000 as my best electronic pulse massager! TENS Is A Better Alternative To Pain Meds, In My Opinion! From a consumer standpoint, this doesn’t help much. That being said, I’d much rather give you my recommendation/advice. Would I use TENS? Sure, if I’m suffering from pain I don’t see why not, especially when the alternative is high dose prescription pain pills. It may not solve the problem of pain in the long term, but at least you get some short term relief. That’s my 2 cents for what it’s worth. 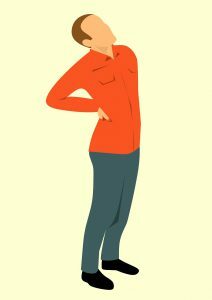 I already linked to one previously, but here’s an incredibly well put article on TENS by the folks over at Painscience. It’s a must read, so please make sure you check it out! No one. Got you there….just kidding! In all seriousness, no one should use an electronic pulse massager without first consulting with their physician. If you’ve been following my blog, you’ll have noticed I bring this up for pretty much all the products I review, and that’s because it can’t be overstated enough. Consult your physician and let him/her advise on whether it is safe for you to use a TENS type device. That’s all I’ll say about that! Be Sure To Check With Your Doctor First! Confirm the device you’re interested in buying has FDA approval. Read the instruction manual and understand the product before use. Seems like common sense right? Only buy devices that have been reviewed and have high ratings. If you follow the 3 recommendations above, I highly doubt you will have any safety concerns! I hope you enjoyed reading and got some value out of this. As always, if you did please consider sharing on the socials. Lastly, if you have experience with these devices, let me know what your best electronic pulse massager is! Do you agree/disagree with the recommendations I have provided above? I’d love to hear so please leave a comment below. 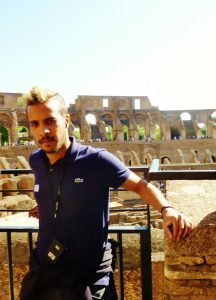 If you have any questions, please don’t hesitate to drop me a comment. If I don’t know the answer, i’ll do my best to find it for you. Until next time! Best Electronic Pulse Massager Best TENS Unit Does TENS Work?